This past weekend PokerStars did the unthinkable with the Sunday Million. As a celebration of the event’s five year anniversary, they increased the guaranteed prize pool to $5 million, which guaranteed at least $1 million for 1st place. To make it even more incredible, the site decided to also award a Lamborghini to 1st place! It comes as no surprise that the prize pool was over the guaranteed $5 million, but no one could have guessed that the prize pool would end up at almost $12 million. An incredible 59,128 players bought in for $200+$15, and people battled into the wee hours of the morning with the prospect of winning over one and half million dollars. Plenty of Team PokerStars Pro made a profit in the tournament, including Liv Boeree and Jason Mercier. Gualter Salles went the furthest for Team PokerStars Pro. It was not a huge surprise that once the final table was formed, a deal was agreed upon so that everyone could secure a 6-figure win. Luke “Bdbeatslayer” Vrabel took the top payout of $671,093 in the deal, and he went on to also win the Lamborghini Gallardo. Sheppyshape from the UK took home the second most money, receiving $465,647 for his fine efforts. Hailing from Connecticut, Vrabel is 25 years old and is a well known online professional. He was the lone professional player once it got 9-handed, and some critics have said that they think he shouldn’t have agreed to a final table deal. He does not really care what these people think, however. He told the PokerStars blog that it was more life +EV to guarantee himself over half a million than it was to roll the dice and play for the top heavy prize of $1.6 million. It’s safe to say that if anyone knows about MTT swings, it’s Vrabel. Prior to this big cash, he was suffering from a considerable downswing and had been struggling. This cash for over half a million dollars has drastically changed his life and increased his bankroll significantly. 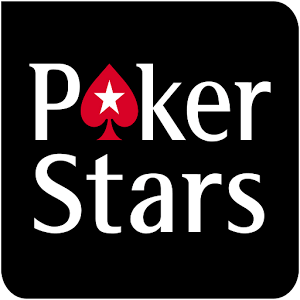 One of the best benefits to playing at PokerStars is the VIP program. One of the benefits that Supernova Elite players receive is the option to play in some high buy-in live events. Many choose to play the EPT, a tournament series put on by PokerStars. The past 6 years have seen the EPT Grand Final in Monte Carlo, but this year it has been moved to Madrid. Madrid is the capital and also the largest city in Spain. When people questioned the move from Monte Carlo, EPT chief executive John Duthie said that they had been seeking something “new, dynamic and inspiring.” He thinks that Madrid is the home to many poker players, and it attracts many poker playing tourists and professionals, as well. He also thinks that Madrid has a lot to offer to players of all ages. The events in Madrid start on the fifth of May with the €25,500 buy-in High Roller event. The Main Event gets started on the 7th, although you can also choose to play Day 1 on May 8th. This is good because it allows those that make Day 3 of the High Roller event to play the Main Event, too. If you have a small bankroll, you should consider trying the Super Satellite to the Main Event. The buy-in for this is €550. To buy-in to the Main Event directly, you must pay €10,000 + €600. There are some fun side events to play if you aren’t able to proceed to Day 2 in the Main Event. May 9th features a couple 2-day NL Hold’em events: a €5,250 8-max tournament and a regular €1,100 freeze-out. There is a €5,250 heads-up tournament the day after these 2-day tournaments, and you can play a fun NLH/PLO tournament featuring bounties on May 11th. You might already know that PokerStars is trying hard to encourage women to play poker, and therefore it is unsurprising that the Grand Final also features a tournament for the ladies. The buy-in for the ladies event is €550, and it is scheduled for the 11th. Ladies finding €550 a bit steep can play a super satellite on the 10th for €110. Keep in mind that there are also online satellites to these events. You can play satellites for as little as €3.33 to eventually win your way to a €13,100 Main Event package. The package includes your seat, hotel accommodations, and cash for expenses. Women can also win packages to the ladies event, although ladies will need to find accommodations since their package does not include them.